Yay! It’s happening again, and I’m just as excited as I was last year! Join me at 6 Course Discourse, one of the featured events during Dine Out Vancouver. 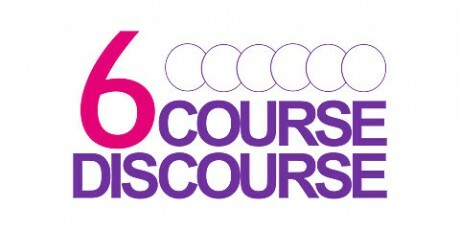 6 Course Discourse is a culinary forum featuring 6 chefs who speak for 12 minutes each. Learn about their culinary philosophies, experiences, frustrations, passions and more at this one-off event! I am very honoured to present 6 chefs who are some of the most celebrated in Vancouver. This year’s guest speakers are David Hawksworth, Pino Posteraro, Angus An, Robert Clark, Taryn Wa, and Thomas Haas. Prior to culinary talks is a wine and canapé standing reception featuring fine food from Hawksworth Restaurant, Cioppino’s Mediterranean Grill & Enoteca, Maenam, The Fish Counter, Savoury Chef, Thomas Haas Chocolates & Patisserie, Bambudda, No Fixed Address Catering, Nextjen Gluten Free, and Chocolate Arts. Canapes feature sustainable meats provided by Two Rivers Speciality Meats, and Ocean Wise seafood provided by Organic Ocean. BC VQA wine samples are provided by 6 BC wineries including Meyer Family Vineyard, Summerhill Pyramid Winery, Osoyoos Larose, Moraine Winery, Clos du Soleil Winery, and Burrowing Owl Estate Winery. Then, take your theatre seat for an inspired speaker presentation followed by a question period and post show talk back. This event is open to public, industry, chefs, cooks, and all food and wine enthusiasts. *Includes standing food and wine reception and speaker series. Taxes and ticketing fees are not included. Free parking available. Please arrive early to allow for ticket collection. Latecomers will not be seated. No minors, venue is 19+. No refunds. See a recap of last year here. Whole Foods Launches Brain Food Speakers Series /2011 National Chefs Conference in Vancouver /Are You In or Are You Out?